The most obvious domestic example involves the respective authority of the federal and state governments. The federal government, being of limited and enumerated powers, has only that criminal jurisdiction which is expressly granted by the Constitution or which reasonably advances the federal government’s express powers. The state governments, by comparison, are not limited like the federal government, but they no longer possess certain dimensions of criminal jurisdiction precisely because the Constitution grants this jurisdiction to the federal government or, in the exercise of the federal government’s powers in conjunction with the Supremacy Clause, divests the states of such jurisdiction. This arrangement is often referred to as one of dual sovereignty or federalism, and under it Americans have long grown accustomed to the idea that the sovereignty of the federal government and the sovereignty of the states will not in all cases be concurrent or co-extensive. Likewise, the criminal jurisdiction of Indian tribes is uniquely limited, according largely to U.S. Supreme Court rulings, in a manner that reflects the place and status of the tribes on the American legal landscape. In the 1978 decision of Oliphant v. Suquamish Indian Tribe, for example, the Court held that tribal criminal jurisdiction does not extend to the conduct of non-Indians, regardless of the gravity of the crimes committed and despite the occurrence of the conduct within the territory of the tribe. The Court, in other words, essentially reduced the traditional axes of sovereignty from two (territory and citizenry) toward just one (citizenry). In the 1990 case of Duro v. Reina, the Court completed this reduction of tribal criminal jurisdiction by limiting it not simply to Indians, but to only members (or citizens) of the prosecuting tribe, thus eliminating criminal jurisdiction over members of other tribes who happen to commit crimes within the prosecuting tribe’s territory. In an interesting turn of events, Congress disagreed with the Court’s holding and within a year enacted legislation—known as the “Duro fix”—purporting to recognize the inherent power of tribes to prosecute not only their own members but also member of other tribes. Thirteen years later, in United States v. Lara, the Court upheld this congressional recognition of criminal jurisdiction (though the Court’s reasoning was not without criticism). Accordingly, tribes today possess criminal jurisdiction both over their own members and over members of other tribes for crimes committed on their reservations. Conversely, they continue to lack criminal jurisdiction over non-Indians, which presumably includes ethnic Native Americans who are not members of federally recognized tribes (a distinction that was explained in the first post). Perhaps one reason that Congress was willing to support expanded tribal criminal jurisdiction (relative to the Court’s view) is that tribes, because of the 1968 Indian Civil Rights Act, are limited in their power to impose criminal punishment. Under the original version, and up until 2010, tribal punishment for any offense could not exceed one year of imprisonment, a $5,000 fine, or both. 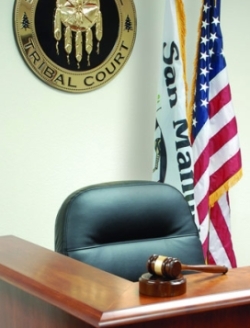 Congress recently enhanced tribal sentencing authority through the Tribal Law and Order Act of 2010, which allows punishment of up to three years of imprisonment, a $15,000 fine, or both, but a tribal prosecution must meet specific quasi-constitutional guarantees in order to permit the imposition of these enhanced sentences. One final aspect of tribal criminal jurisdiction should be noted—though it is mentioned last because it is really a segue to future posts—which is that tribal criminal jurisdiction may in some cases be exclusive of federal or state criminal jurisdiction, while in others it may be concurrent with the federal government or the states. Determining whether jurisdiction is in fact exclusive or concurrent can be potentially complicated and is often multifactorial. Among other things, it can turn on the nature of the crime alleged, on the identities of the victim and of the defendant, on which sovereign prosecutes first, on the particular tribe seeking to prosecute, and on the particular state in which the tribe’s territory is located, all set within an overarching framework of federal statutes, treaties, and judicial decisions. This really is an awesome article. We have an Indian reservation down here in S.FL. The compact is with the State, but there has been a lot of fighting over the years as to jurisdiction. Kirk Billie was accused of killing his girlfriend and has two children on a reservation. The tribe blocked subpoenas from the Miami-Dade County State Attorney’s Office. I don’t know the specifics of this case, but Tammy Billie was accused of DUI manslaughter and there was some fighting about that too. Basically, all cases for non-Indians are prosecuted in State Court, but when their reservation police officers beat the tar out of somebody, they claim sovereign immunity. Previous Previous post: Does the Legislature Lack the Power to Revise the Redistricting Law?